This very pretty vase is by the French factory Daum Nancy and was made in the Art Deco period. 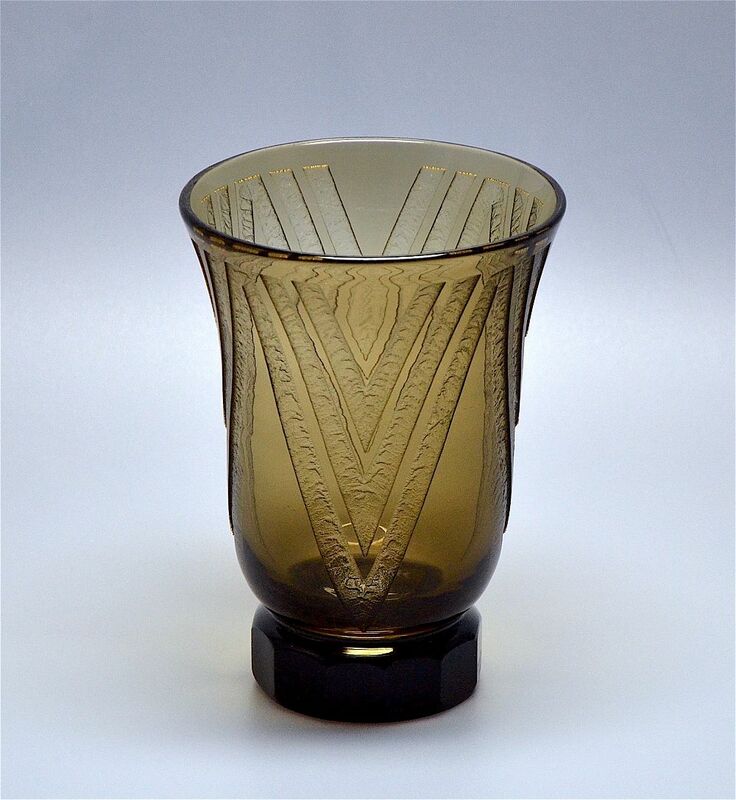 The vase is made of cognac glass that has been aid etched with a geometric pattern. The base is many sided and and supports the flared body. The side of the base is signed "Daum Nancy France" and has the Cross of Lorraine mark.